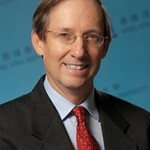 H. Werner Hess is Professor of European Studies and associate head of the Department of Government and International Studies at Hong Kong Baptist University. He is a graduate of the John F. Kennedy Institute of the Freie Universität Berlin and holds a doctorate in Education from the Technische Universität Berlin. He has worked in Germany, Spain and China for many years and teaches European socio-cultural, political and economic history and contemporary affairs (German-speaking countries) as well as European/German economic relations with China and Hong Kong. As EUAP Deputy Director, he favors a holistic approach to studying Europe, including its ‘unifying’ cultural traditions and the real-life diversity in EU member states. Both may be more decisive for the future of the EU than supranational decision-making structures alone. He would like to promote Europe’s key characteristic: its open, cosmopolitan discourse, which makes the whole of it greater than the sum of its parts. Dr. Krzysztof ŚLIWIŃSKI (PhD University of Warsaw) is an Associate Professor at the Department of Government and International Studies of Hong Kong Baptist University. He holds regular lectures on European Integration, Security Studies, International Relations and Political Science. His major research interests include: security studies (non-traditional security issues), foreign and security policy of United Kingdom, foreign and security policy of Poland, European foreign and security policy. His most recent publications include: “Moving beyond the European Union’s Weakness as a Cyber-Security Agent”. Contemporary Security Policy, 2014. DOI: 10.1080/13523260.2014.959261 and “European Union – cyber power in the making” The Asia-Pacific Journal of EU Studies, 2014, 12:1, pp.1-22. Martin Chung is an Assistant Professor in the Department of Government and International Studies at Hong Kong Baptist University (HKBU). He holds a PhD from the University of Hong Kong (2014) and a master’s degree in European Studies from the University of Macau (2008). Previously, he was Research Assistant Professor of the European Union Academic Programme Hong Kong and a lecturer at the University of St. Joseph (Macau). His first monograph, Repentance for the Holocaust: Lessons from Jewish Thought for Confronting the German Past (Cornell University Press 2017) explores the role of religious ideas in German Vergangenheitsbewältigung (coming to terms with the past). In Reconciling with the Past: Resources and Obstacles in a Global Perspective (Routledge 2017, co-edited with Annika Frieberg), he analyses the idea of apology in Chinese classics and the problem of its application in East Asian politics at present. At HKBU, he teaches the general education course “The World of Contemporary Europe” and major elective courses including “Contemporary Europe and Asia”, “Government and Politics of the United Kingdom”, and “Political Philosophy: Chinese and European”. Chung is a recipient of the Asia-Europe Comparative Studies Research Project Grant 2014 by the Institute of European Studies of Macau with his project on Sino-European comparative cultures of remembrance, out of which a peer-reviewed article, “Chinesische Vergangenheitsbewältigung: Hindernisse und Ressourcen in vergleichender Perspektive” [Chinese coming to terms with the past: Obstacles and resources in comparative perspective], was published in the Jahrbuch für Politik und Geschichte 2015, Vol. 6, pp. 115-133 (Franz Steiner Verlag). He has also had active roles in several Model EU simulation exercises in Hong Kong, Macau and Tokyo.